I honestly never thought I’d be in a position to write this article, but here we are. 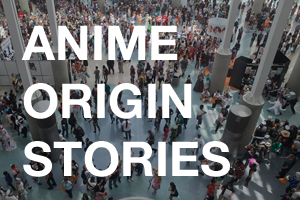 At nearly four years old, Otaku Journalist is actually making a profit. 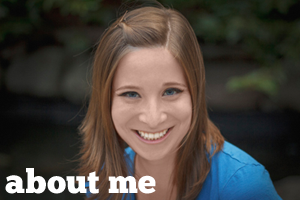 And since I’m a journalist obsessed with transparency, I want to tell you all about it. So here’s the backstory: it costs about $100 a year to keep Otaku Journalist online, and I don’t make a ton on a freelancer’s salary. My goal has always been to have it pay for itself. That’s been perfect. For the past two years, Otaku Journalist has netted me $0, but it’s also cost $0 for me to maintain. I thought that was the end of my scheming. That is, until I started to notice Amazon sending me periodic “gift cards” to my account. And the amount of money on each gift card was getting larger and larger. I forgot that I was an Amazon affiliate, because my affiliate links had never paid off before. And now I had an additional $150 in funds for 2013 alone, with no effort at all on my part. What happened? Back in 2010 and 2011, I used to put affiliate links into lots of posts, hoping to make money. But since my blog was young and small, nobody ever clicked. Now, for some reason, some of my older posts, especially about Gundam building, are getting tons of traffic. And readers are clicking and buying Gundams. Granted, an additional $150 in eight months (update 4/2014: now more like $150 a month!) isn’t close to enough to live on. But it’s surprising to earn that much when I’m not actually DOING anything. Especially when you consider that Otaku Journalist’s 200 uniques a day are nothing in Web traffic. Affiliate programs, NOT banner ads. Project Wonderful works for big sites like Questionable Content (I believe it’s the bulk of Jeph’s income), but small blogs shouldn’t even expect to make a dollar there. Same for other ad services. What’s worked for me is affiliate programs with smaller click rates, but larger payoffs. Create valuable content, not a shill. There’s a reason Gundam Modeling 101 is the most popular (and lucrative) article on my entire website. It’s not an ad for Gundams, but an extensively researched tutorial on everything you need to know to get started with model building. Readers aren’t stupid; they know when they’re being used. Don’t be afraid to promote. 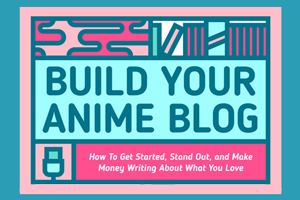 So many anime bloggers seem afraid that somebody will bite their head off if they’re caught making money. But when it’s an affiliate link, readers are spending the same amount they would anyway. The only difference is that you get a cut for turning them on to it. You don’t have to go in the other direction and become a sales blog, but if you’re reviewing an anime, it makes sense to place an affiliate link to where the reader can buy it on DVD. Give away your best stuff for free. The reason I’m so happy giving away my digital guides is because they’re the most valuable thing I can offer my readers. They’re what makes Otaku Journalist worth returning to. And in the end, that’s going to make more people come back—and click on affiliate links while they’re at it—than if I charged for my best work. Try not to worry about it too much. They call it passive income for a reason. If you spend all your time checking your affiliate accounts and tweaking your site to get more clicks, you’re exerting way more energy than a couple of extra bucks a year are worth. I realize there are people who make WAY more than I do who might have differing opinions. But whenever I hear about somebody actually making money online, I figure it’s some sort of spammy pitch to get my money. So I wanted to offer up one regular person’s perspective. If you’re brave enough to share in the comments, let me know about your blog’s relationship with money. Do you think making money from blogging is disingenuous? Or, if you’re also a blogger who finds yourself in the black, what are your favorite money-making techniques? You hit the nail on the head re: Google AdSense and Project Wonderful. While they’re alright programs, I have gotten, like you mentioned, nothing from Google and just pennies from PW. Nothing to write home about, or even bother mentioning. I haven’t checked my PW account in months, and the last time I only did because they deactivated due to a short period of stagnation. So I logged in and reactivated it. I drop Amazon affiliate links into every post that I can, though so far it hasn’t really made me enough for them to start paying me. I also just bring in about 100 clicks a day, so though I’ve been blogging a while, I haven’t got a huge readership enough to see something come out of that. I’d love it if GeekeryDo paid for my photo/travel blog, which I don’t update too often, but is hosted because I want to make absolutely sure that my images are never abused by some service or platform or another. If I get a profit, even better – I can buy more swag to give away to my readers. You also totally nailed it with your Model Building 101 note. My current top posts which, week after week, rake in the most views on my blog, are two guides I wrote for two adventure games (DEPONIA and CHAOS ON DEPONIA). I wrote some tip/strategy guides since it’s a point-and-click puzzle/adventure type game, and everyone eventually gets stuck somewhere in those. It’s not a step-by-step, or even too much in-depth, but I give hints and clues at all the parts that I thought someone might hit a snag. There is no affiliate link. There is no sales hook, and there is nothing in it for me except I wanted to help people get through the game. Because I know it’s frustrating. @Kristina, thanks for sharing! I guess blogging is not truly “passive” income after all, since for both of us, our top posts are the ones that took the most effort to research and write. But it’s interesting to hear that you’ve also had better luck with links than banner ads. I guess I’m the only one that made any significant income from Project Wonderful rather than Google AdSense or affiliate links. When I ended daily news on the site after being picked up by Crunchyroll in November 2011, the site was making $2500 a month from PW alone while the most successful affiliate programs for me were J-List and Amazon. In the 3 years I used AdSense under my business partner’s former publishing network account before signing up for PW, it made pennies a month. Google AdSense and PW only work when you have a significant level of traffic a month. I figured out that you need at least 100K readers a month for AdSense/DoubleClick to work, while I made PW work with 27K readers a month and playing with the ad rates for each space, which I also figured out the best rates were $100 per space. With that, I had decent fill rates and made decent money on the site. I’m prepping for a relaunch of the site this weekend and I’m putting the focus on PW as the main method for generating revenue. I’m going to try using affiliate links again, but I’m keeping those for product reviews and longer articles instead of daily posts. @Humberto, I was hoping you’d chime in. I think the big difference between your site and mine is that you’re raking in significant traffic. Did you say 27K? I’m lucky if I get 7K! PW really pays off if you’ve got a big audience, which I don’t. It was years of work that got me to that point, Lauren. It also helped a few stories fell into my lap at the right time, but I’m at the point now where people are willing to read the site in addition my work on CR News. Saw this article on Zite using my ipad mini. I just want to also chime in and express that a career in blogging is very doable more now than ever. Google is starting to put quality in the forefront over spammy SEO tricks of the past. If you focus more on spreading your good in my opinion content through more social media. You would see a huge increase in daily traffic. You.should be mindful of some SEO techniques that bloggers use by visiting bigger blogs and googling anything that might stand out from the norm. check out the SNAP wp plugin for some very helpful automation at the very least. Fascinating post! Thanks for sharing your experiences on monetizing the blog. As for your question, “Is it disingenuous?” I find that as long as the content has purpose and integrity, the practice isn’t wrong in the least. After all, you’re essentially building your blog as a brand for trusted, reliable content and trying to recoup your cash for the server space and domain registration makes total sense. And if you do make a profit, that just indicates your blog is making an impact with readers who are willing to invest their time into reading your posts. As long as your content doesn’t read like a used-car salesman pitch for random, unrelated products, I don’t see any moral dilemma with these strategies. For my own blog, which I just started recently, my primary goal is simply to build a readership. I haven’t thought about advertising yet, since I’m mostly writing just to get my name out there. I’m fortunate that my current job affords me the chance to self-host my blog without worrying to much about making the bills. Google AdSense seem to be a waste of time sometimes. You need like a million immersion to get a paycheck. It took my friends a couple of years. Traffic is key to be able to generate enough income with your site. The question then becomes: what drives traffic to your site. 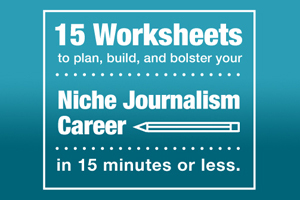 Of course that means writing great content, or in the words of Chris Garrett, a business coach blogger whom I can recommend to anyone, “creating killer flagship content”. Like Steve Pavlina’s How To Become An Early Riser, which is a bona fide internet classic that might’ve been read by millions of people and counting. Besides those flag ships, you do need support ships in your fleet though :). With my old site, when I started posting daily, without fail for 8 months in a row, I saw traffic rise to 30K/month. If I recall correctly, more than half of that came from original traffic, no referrals so that’d mean recurring readers. Which were definitely drawn to the fact that each day they visited, fresh content would await them. They knew it was a garanteed experience. But posting everyday is hard to do. 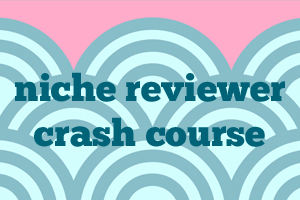 You could write multiple posts in batches, and then publish them on a schedule. Some posts cost less time to write than others, like “first impressions” of a reviewed subject, or some quick update on something, followed up later by a big flag shippery post. Having an audience in tune with you like that, and being consistently able to post daily, you can dare to make promises like “Every Friday a Big Interview”, or Editorial Sunday. Like managing a broadcast channel with a schedule. Best way to post daily I suppose is having multiple writers. Which presents its own organizational and financial challenges, of course. But you know, it’d help if you can get at least one “partner”, that should double your output! Besides flag ship content, daily content and ranking well in Google I’d say having lots of quality incoming links are very important too. Sometimes a single link exchange can boost your traffic more than 50% overnight, or more. 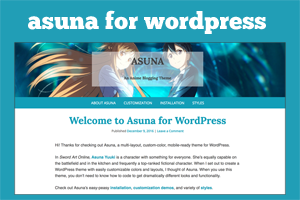 In the old days we anime webmasters just put up flashy banners to eachothers websites. Nowadays I see some blogs using “blog rolls”. Even if people don’t click that, Google will love you for that, even more so if you’re being selective :). Lastly, it’s a a way to support your favorite blogs and present your readers with more great stuff to read. BTW, I never monetized my old site, but reading the comments above, I probably should/could have :(. Ah well. And apologies for yet another long comment, haha. Post Scriptum: newsletters are a great driver of traffic too. Chris Garrett, which I mentioned earlier, posts nowadays only a few times a month, maybe less, but each post is simply mailed to his list and then you can visit his website to read it a bit easier, and to comment. Still gets him a ton of traffic, and yet again a garanteed experience: “every time I post you can get a mail about that”. BTW, plugging your content on social media works just as well, or better of course. E-mail might help you reach people who don’t (yet) follow you however. 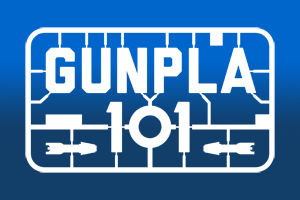 LOL I already saw your website Gunpla 101 yesterday while looking for gunplay related websites. Then today I landed to this website while searching anime fans make money by blogging, and I found that you’re also the website owner of Gunpla 101, you’re awesome! lol! ive had the same experience.ive made pretty much nothing from amazon.ive made about 10 bucks from play asia because sombody bought a video game or somthing. havent made that much but its really exciting when you actually make somthing. Hey! I’m in a similar path to you. I’ve been blogging for 2 years now about the anime One Piece over at https://onepiecetheories.com. My main source of income is Amazon but nothing fancy(top month was 50 dollars) with 400 uniques a day. Let me see if I can monetize it further. Thanks for your input! One of the favorite ways for Anime fans to show their support of their favorite characters is with jewelry, shoes, hoodies, clothing and accessories.